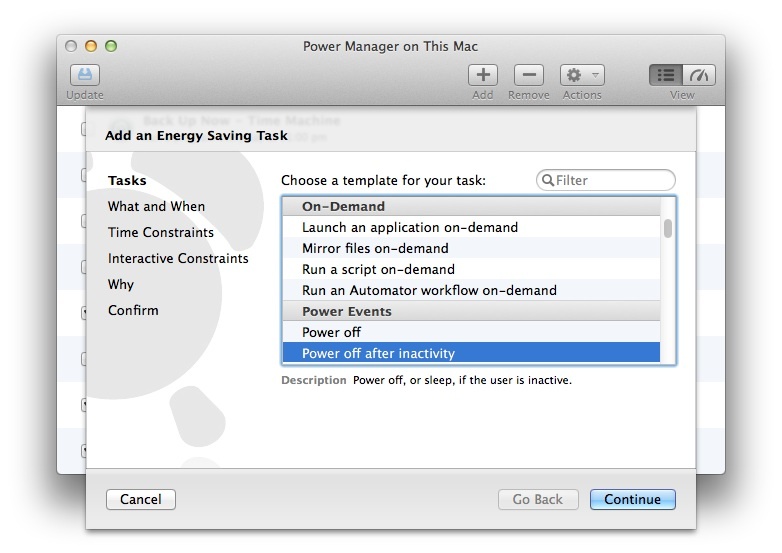 We are pleased to announce the launch of Power Manager 4.3.2. 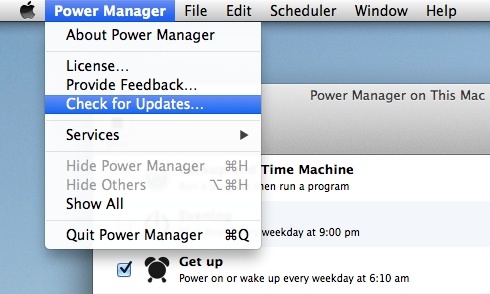 This release fixes Keynote auto-play support and improves the Schedule Assistant. Refined: Added filter to ease finding specific Schedule Assistant tasks. Refined: Added syntax highlighting to Schedule Assistant script steps. Refined: Exposed optional command line arguments in editor for embedded scripts. Refined: Action summary now includes hash bang executable in editor for embedded scripts.